Rice is a staple food in many countries. It goes well with cuisines from different parts of the world. However, most prefer to have white rice, which is not considered healthy. The milling process strips away most of the nutritional value of white rice, but this does not mean you have to give up rice. Simply switch to brown rice for a healthier option. Brown rice is an unrefined, unpolished whole grain. It is produced by merely removing the hulls surrounding the rice kernels, thus it is full of nutrients. It is an excellent source of protein and fiber. It also contains a good amount of magnesium, manganese, phosphorus, calcium, selenium, and potassium as well as iron and zinc. The several vitamins present in brown rice are vitamins B1, B2, B3, B6, E and K.
This whole grain is chewier than white rice and has a nutty flavor. You can use this rice for stir-fried meals, salads, pilafs as well as molds or puddings. It can also be used to prepare delicious desserts. 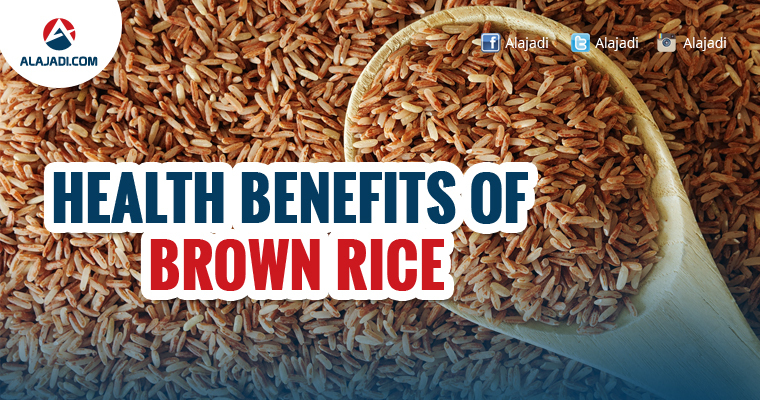 Introducing brown rice into your diet will bring tremendous health benefits. Brown rice is highly beneficial for a healthy heart. Its fiber content helps reduce blockage in the arteries due to plaque buildup. The intake of whole grains is considered to have significant benefits in preventing chronic diseases, such as cardiovascular disease, diabetes and cancer, because of the contribution of phenolic compounds. Brown rice is an excellent source of soluble fiber, which helps lower the level of ‘bad’ low-density lipoprotein (LDL) cholesterol in the blood. The oil in brown rice also has been shown to lower levels of LDL cholesterol. The reduction of cholesterol was due to other components present in the rice bran oil, such as unsaponifiable compounds. At the same time, a diet high in whole grains like brown rice can increase the level of high-density lipoproteins (HDL), or the good cholesterol, in your body. Brown rice has a lower glycemic index and is digested more slowly, causing a lower change in blood sugar. 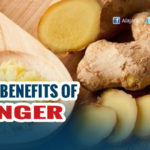 This helps avoid spikes in blood sugar levels. Researchers emphasized that most carbohydrate intake should come from whole grains rather than refined grains to help prevent Type 2 diabetes. Switching to brown rice from white rice can even help you maintain a healthy body weight. The fiber content of brown rice keeps you feeling full, which means less snacking on unhealthy foods. As brown rice keeps things moving in the digestive tract, it further promotes weight loss and metabolic function. Plus, this rice contains manganese that helps synthesize body fats. Brown rice is loaded with a significant amount of vitamins, minerals and phenolic components that are essential for strong immunity. A strong immune system accelerates healing and enhances the body’s ability to fight infections. Plus, the antioxidant property of brown rice helps fight free-radical damage that causes diseases and accelerates the aging process. Plus, intake of all micronutrients, except vitamin B12 and sodium, was higher among individuals who consumed the most servings of whole grains. 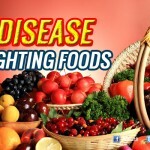 Higher diet quality also plays a key role in keeping your immunity strong and healthy. Eating brown rice even helps ensure strong and healthy bones. 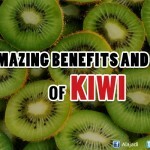 This benefit is mainly attributed to its magnesium content. Just one cup of brown rice contains 21 percent of the recommended daily value of magnesium. Magnesium is a key nutrient, along with calcium and vitamin D, needed for healthy and strong bones. Magnesium is necessary to convert vitamin D into its active form so that it help in calcium absorption. Hence, this mineral aids in building bones and preventing bone demineralization. Brown rice contains insoluble fiber, which is well-known for its digestive benefits. Fiber helps keep bowel movements regular by helping move bulk through the intestines more easily. As digestion becomes easy, intake of brown rice even reduces constipation as well as hemorrhoids. Brown rice also contains a good amount of manganese that helps digest fats. Furthermore, brown rice is naturally gluten-free, which makes it a popular staple of gluten-free diets. When eating fiber-rich brown rice, make sure to also drink plenty of water to help the fiber do its job. 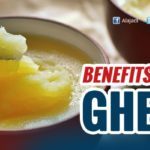 Plus, the B vitamins in it ensure smooth functioning of the brain and nervous system by accelerating the metabolism in the brain. Also, the potassium and calcium play a role in keeping the nerves and muscle cells healthy. Even the vitamin E in brown rice is linked to prevention of several brain diseases caused by oxidative damage. Being a powerhouse of natural nutrition and fiber, brown rice is one of the healthiest foods for babies. It helps in rapid growth of your baby. Its rich fiber content ensures smooth bowel functioning and prevents infant constipation. Plus, there are less chances of allergy.